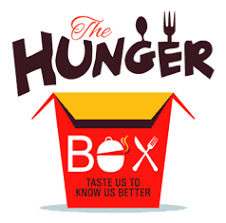 PUNE (BENGALURU): HungerBox, a B2B food-tech start-up, has announced the closing of $2.5 million in pre-series A funding, led by Lionrock Capital and Kris Gopalakrishnan, co-founder, Infosys. Started in 2016, HungerBox is a full stack, food-tech company that operates over 100 digital cafeterias. It enables end-to-end digital cafeteria management with the company’s proprietary technology platform that connects food vendors with employees within client organisations through a customised mobile app available to each employee. Using the app, employees can view the F&B menu provided by all enlisted food vendors at their workplace cafés, place orders and track delivery accurately and provide ratings/feedback. HungerBox’s solution provides admin teams at the client organisation with the ability to track the entire F&B operations, including food consumption, orders and feedback in real-time. More than 50 different payment methods are integrated into the service offering, including in-app purchases by an employee, payment via smart cards, m-wallets and self-serve kiosks at the cafés.